She's back! 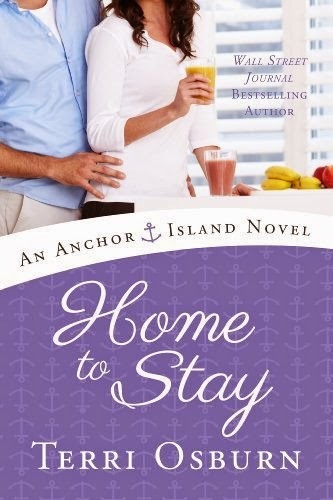 One of our favorite new authors, Terri Osburn returns to the Dish today to blog about her new book, Home to Stay, third in her heartwarming Anchor Island contemporary romance series. Although born in the Ohio Valley, Terri found her true home between the covers of her favorite books. Classics like The Wizard of Oz and Little Women filled her childhood, and the genre of romance beckoned during her teen years. In 2007, she decided to put pen to paper and write her own. Just five years later, she was named a 2012 finalist for the Romance Writers of America® Golden Heart® Award. You can learn more about Terri and her work by visiting her website at www.terriosburn.com. I am NOT a foodie. In fact, I rarely cook anything that doesn’t come out of a box. There are six or seven cookbooks on a bookshelf in my kitchen, but I never open them. Heck, I don’t even know what the word mince means. And all of this could be a contributing factor for why I keep writing heroes who can cook. Normally, I’d say writers are not putting their own fantasies onto the page. In this case, that is exactly what I’m doing. But the odd thing is, I didn’t even realize I was doing it. Poor Bryan never did get his happily ever after, and I’ve yet to write a chef hero, but of the three heroes in the Anchor Island series so far, two of them are really good cooks. Ironically, my heroines rarely cook, but they do spend a lot of time at the sweet shop on the island, partaking of their favorite desserts. So basically, through my highly-skilled-in-the-kitchen heroes, I’ve realized that I am indeed putting my own fantasies into my books. As for my heroines, well, that’s more my reality. And speaking of my cooking heroes, the next book in the Anchor Island Series, HOME TO STAY, goes on sale in all formats on May 1. Very soon you’ll get to read about Randy Navarro, my vegetarian, green tea drinking, adrenaline junkie, giant Teddy Bear of a man who makes a killer fettuccini alfredo for his heroine, Willow Parsons. Willow Parsons’s two new best friends are getting married, putting her squarely on the sidelines of romance—which suits her just fine. After escaping the ultimate Mr. Wrong, she is more than happy to spend her days slinging drinks in Dempsey’s Bar & Grill, and her nights alone. But her Anchor Island refuge has just one catch: muscle-bound charmer Randy Navarro. Everyone in town knows that Randy, owner of the local fitness club, is a giant teddy bear. Everyone, it seems, except for Willow. He’s convinced that her avoidance is more than just playing hard to get, and is determined to uncover the secrets that keep her on edge. But when old fears are dragged into the light, can Randy get Willow to stay and fight for their love…or will she take flight, leaving both him and Anchor Island behind? So what about you? Good cook? Non-cook like me? Do you like a hero with solid kitchen skills? Know one in real life? Got a favorite from a book? Starving minds want to know! I love heroes who can cook. Louisa Edward's cooking series is great. The last book is Hot Under Pressure and it awesome - this book is about a cookoff and the menu choices in the finale represents the hero and heroine's lives perfect. I cannot say enuf about this series and esp this last book. Amanda Usen and Kate Meader wrote a few - enjoyed both of Amanda's and have to get my hands on Kate's (only read one of hers so far. OOOH, my grammar bad - meant to say "here and heroine's lives PERFECTLY. PJ, you found a prize! I so need to find me one of those. And thanks for having me back. I love visiting the Dish! Hello and welcome back, Terri! I am like you in that I am not a foodie. Honestly? I don't like to cook. At all. I only do it because I have to so my kids can eat. LOL! My husband does some of the cooking and does it well. : ) I can't wait to pick this one up! Andrea, since quitting the day job in December, I think I've cooked three or four actual meals. My teen is fine fending for herself, and recently decided she doesn't want meat. I barely know how to cook, and whipping up vegetarian dishes is not in my repertoire. LOL! Thank you, Kathleen. I hope you'll give them a whirl. And I never got the table setting skill. I think it's because my family always ate in front of the television. Not something I'm proud of, but I don't even have a table in my house. The small dining room one had to be sacrificed so I could have a writing space. Sigh. I like to eat, cook and bake. Robin Kaye has an older series out with guys that can cook and do housework I think too. Loved those books. Too Hot to Handle and Breakfast in Bed. Yum. Hello, you! Are they shipping already? Good to know. Hope you enjoy it. And don't ding me if I get a food thing wrong, foodie that you are. Is this a print copy? Forgot to ask. If so, count me in for the contest. Yes, ma'am. This one is print. Good luck! Terri, I really enjoyed the first 2 books in this series! My son barbecues better than my husband, who taught him. (Shhhh. You didn't hear that from me!) Other than barbecuing, that's it for their culinary skills. I am the one who does the majority of the cooking and I actually enjoy it. I like having friends over for good conversation, a meal with lots of leftovers for later in the week, and a round or two of cards/board games (before and/or after the meal). What makes my day, though, is when various people ask for my recipes. Laney4, I've always found that amusing. The idea that cooking on a grill is manly, but heaven forbid they stand in front of a stove. I think it's an open fire thing, which goes out the window these days as most fancy grills are gas. Just like stoves! I love card and board games. I want to come hang at your house! I've always done all the cooking but it sure does sound appealing lol. I have two grown daughters and although one will do some cooking, they both have men that do most of it. I guess they figured out they didn't want to have to do it all like me lol. Catslady, I would love for them to tell me where to find these men. Though I'm guessing it might be a generational thing. As moms went to work, kids learned to fend for themselves, both male and female. Worked out well for a lot of kids, I think. Made them much less dependent for these sorts of things. Sharlene, for me, it's not the schedule but the fact that I now cook for one that's derailed my enthusiasm for it. Every now and then I get the bug and cook up a storm but it's not the norm anymore. Definitely a keeper, Sharlene. Hope things settle down soon so you can enjoy some time in the kitchen. Been finding more books that I like that indeed, include cooking and such, Barbara O Neal comes to mind (thanks PJ, yet again) ...But I like even the cook that goes awry as well as the one that is awe inspiring. What I like about your books and characters? They are so identifiable. I can see myself on Anchor Island, I can see Willow, Randy, ALL of them...I can find the bar/restaurant and have a beer or Green Tea with Randy! ....I love this one and its "suspenseful' moments. I LOVED Randy so much!!! (the tux scene? SO priceless) Great character! Anyway, it was a great great great read, cannot say that enough. You have now become an auto buy Terri! Can you talk about the next one at all? It is another anchor one correct? Sigh....I feel like I am by the beach when I read these books. I'm in love with Randy! I have a particular affection for big, gentle heroes, and all the unexpected pieces of who Randy is, such as his green tea drinking, his vegetarianism, and his cooking skills make him all the more wonderful. I'm not a natural or creative cook, but I do pretty well at following a recipe. I think you may be right about the generational connection, Ter. My dad cooked, and he also helped with housecleaning and child care to a degree that was rare in his time. Most of the men I know in my generation limit their cooking to grilling or to special dishes like a mean chili. The men in my church cook breakfast a couple of times a year, but they always ask the women to supply the biscuits.But three of my nephews cook: one is a decent cook, the firefighter is constantly improving since he gets constant practice at the station and at home, and #3 is good--better than his ex-wives. I wonder if sons of single mothers are more likely to learn to cook. I'm in love with Randy! He's a pretty special guy, isn't he? The hubby and I started teaching my youngest brother to cook when he was four. He's now a better cook than I am! Thank you for the kind words, Janga. (And PJ!) Randy is larger than life in several ways, but at the same time he's sweet and subtle. I loved writing his story. You might be right on the sons of single mother's thing, but it's hard to tell. My grandmother was a talented cook, but she had no patience to teach. Which is why both my sister and I are clueless in the kitchen. If he can cook, fine -- but more to the point... can he clean up after himself..
Ah, yes. Cleaning up is a very necessary skill! Randy's place is spotless. So yes, he's a cleaner, too. :) Now my teenager? That's another story. She can feed herself, but then I find a kitchen that's a wreck. Isn't it weird, Erin? I even love cooking shows. Have never missed a season of Top Chef. Have no idea what they're making, but I can't stop watching. Before I was married and had children I had no interest in cooking. But I knew that cooking meals for your family was the healthy way to go so I started cooking. Once my kids were past the picky stage then we could try different recipes that often work out but occasionally aren't great. Now, after all these years of cooking, I enjoy putting together a nice dinner, especially if it comes out really well. Maureen, I know it's more cost effective to cook at home. And healthier these days. But I just don't like it. Which means we eat out way more than we should. Good on you for sticking with it. Terri, congrats on your new release! Can't wait to read it. I have one hero who truly loves to cook, and one of my heroines (not his) also loves to cook. The others are competent in the kitchen. I'd pay too! But I'll have to move closer. I wouldn't mind that. :) Thank you and thanks for reading the books. Looking forward to your next one! Thank you, PJ and Andrea, for having me here today. I do love these visits! And thank you to everyone who stopped by. Hope you had a good meal this evening. (I had a cookie for dinner.) LOL! Thanks for visiting with us, Terri. Best wishes for much success with HOME TO STAY! Hi Terri! My husband & I both muddle through with cooking. I can make sauce & he cooks on the grill sometimes on the week-end. As for great books with chefs, Laura Florand's chocolate series books have chefs, pastry chefs & chocolatiers who are all hunky guys. Looking forward to your new book! Loved the first two! Thanks for the book recommendation, Sharlene. I haven't read Laura Florand yet but I've heard good things about her. I started at the beginning, with the Kiss the Bride anthology & have read every one so far. I think you will really like them. I love to cook and have taught all our children, 2 daughters and 1 son, to cook. They are all pretty good at it. My husband is a good cook and was one well before we got married. His mom was widowed when he was in high school. She worked full time to support her two boys. She once told me it was heavenly to come home from a tiring day at work, pull into the carport, and open the door to the smell of baking bread. We have gotten into a rut lately and cooking the same old things. We have gotten busy and don't take the time to try new recipes or fix things that tai a bit more time. Hopefully things will settle down and I can start experimenting. I have hundreds of cookbooks and would really like to try some of the recipes they have to offer. I hope the release of HOME TO STAY is a big success. My guy does pretty well at cooking, but gosh - does he make a mess doing it. But he does clean up after so it's a win-win for me!! My husband does cook and it is a welcome relief. I don't always have time since I also work. And I do love heroes who are good in the kitchen. Agree with good books by Louisa Edwards and Robin Kaye. Especially loved the last hero in the last Edwards book. Pat has good taste. LOL. I'm an average cook. I was happy to take a break after cooking for 6 people for 20 years. I like to look for new recipes and I will try new things . I love to read cooking magazines and to watch cooking shows. My husband (since he retired) likes to cook in the evenings. He does a pretty good job. However it's so easy to get in a boring routine. All 4 of my children know how to cook. My 3 sons actually enjoy cooking and making creative dishes. They like to invite friends over for impromptu parties. I do like to read about cooks in books. heroes and heroines. Louisa Edwards TOO HOT TO TOUCH Max was a fantastic cook. 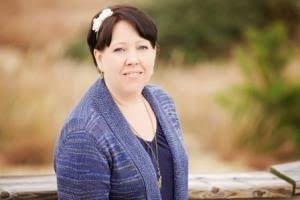 Nora Roberts SAVOR THE MOMENT Laurel's story catering weddings. She also Had Summer a bakery chef in Summer Desserts. Tara cooked in Jill Shalvis' The Sweetest Thing. She also had a chef, Jacob, in ROOM SERVICE. Susan Mallery had the three sisters SWEET bakery series and the Marinelli wine series. Nicole in SWEET SPOT.